MAHA METRO Recruitment 2017 - Below are various recruitment notifications published by Maharashtra Metro Rail Corporation Limited (MAHA-METRO) / www.metrorailnagpur.com. As of now, we don't have any active recruitment notification by MAHA METRO featured here. We may update as soon as the organization announces a new job notification. 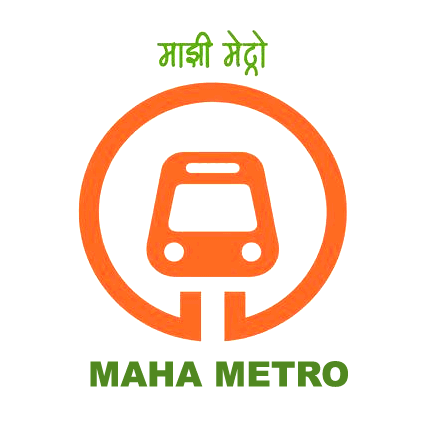 If you are looking for any information related to previously organized recruitment drives by MAHA METRO, you can browse through previous job notifications mentioned below and get the new updates or information you are looking for. MAHA METRO Recruitment 2017 - Maha Metro issued a job notification on NMRCL website for recruitment of Experienced Employees of Govt. Metro Rail / Govt Organization / PSUs for the period of 5 years in Finance Department. Read the below details of notification for 14 Assistant Manager, Accountant & Account Assistant Vacancies in Maharashtra on 5 year Contract Basis. Applications are invited by Maharashtra Metro Rail Corporation Limited (MAHA-METRO) on or before 29 Aug 2017 for 14 vacancies. SC, ST and women candidate are exempted from fees, however UR & OBC (including Ex- servicemen) candidates are required to pay a non-refundable fee of ₹400 in form of Demand Draft in favour of MAHA-Metro, payable at Nagpur. 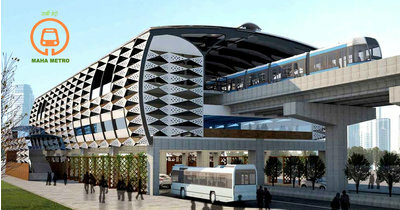 Nagpur/ Pune or any other project of MAHA-Metro, anywhere in India. Qualification: CA/ ICWA from a Govt. recognized Institute/University. Desirable:- Knowledge of SAP & Computer. Experience : Minimum 02 years of experience in Govt. Metro Rail I Govt. Organization/ PSU's, at Supervisory level. Experience should be in different areas of Finance & Accounts viz. Corporate Accounting, Financial Management, Taxation - Direct I indirect, Treasury Management, Corporate Governance, Tender Evaluation, Vetting of Contracts /Offers /Estimates etc. OR should have worked with statutory Auditor/ Internal Auditor of Govt. Metro Rail Companies for more than 3 years. Qualification: Commerce Graduate from recognized Institute I University. Candidates having Inter CA/ ICWA/ CS/ MBA(Finance)/ MFC will be given preference. Desirable:- Knowledge of SAP & Computer. Qualification: Commerce Graduate from recognized Institute/ University. Candidates having Inter CA/ ICWA/ CS/ MBA (Finance)/ MFC will be given preference. Experience : Minimum 01 year experience in Account/ Finance Department in any Govt. Metro Rail/ Govt. Organization/ PSU's/ worked indirectly with PSU's/ Metro Rail Companies in Finance/ Accounts Department OR should have worked with statutory Auditor/ Internal Auditor of Govt. Metro Rail Companies for more than 3 years. The selection method will comprise-Personal Interview followed by Medical Examination as per post's category. The selection process would judge different facets of knowledge, skills, experience, expertise, aptitude and physical fitness. The candidates will be shortlisted for interview, based on their eligibility /experience in the relevant field. If sufficient candidates are not available for advertised post, then candidates with lesser service length/ higher age/ lesser experience/ relaxed qualification may be considered for short-listing in same post / appropriate lower post as per performance during interview. SC/ST candidates are eligible for reimbursement of fare of 'to & fro' at the time of interview, maximum @ fare of sleeper class or by ordinary bus fare for the shortest route between his/ her residential place to Nagpur, after production of valid tickets (Only for specified post of SC/ST). Medical Examination : The selected candidate will have to undergo medical fitness examination in MAHA-Metro's nominated hospital as per the prescribed medical category. Note : The candidates, who qualify the selection process, will be informed through E-Mail. Eligible candidates may appear for walk in interview at "Metro House", 28/2, C K Naidu Marg, Anand Nagar, Civil Lines, Nagpur - 440 001. on 29/08/2017. candidates will have to appear for Personal Interview on the scheduled dates with all original documents / testimonials and experience certificates. along with original copies of testimonials with one set of Xerox copy and attach two copies of recent passport size photos and all the relevant documents and testimonials. Candidates applying from Govt. Metro Rail / Govt. organizations/ PSU's etc. will have to forward application though proper channel or need to submit "NO OBJECTION CERTIFICATE" from parent department at the time of Interview. To, Addi. General Manager (HR} Maharashtra Metro Rail Corporation Ltd. Metro House, 28/2, C K Naidu Marg, Anand Nagar, Civil Lines, Nagpur - 440 001.